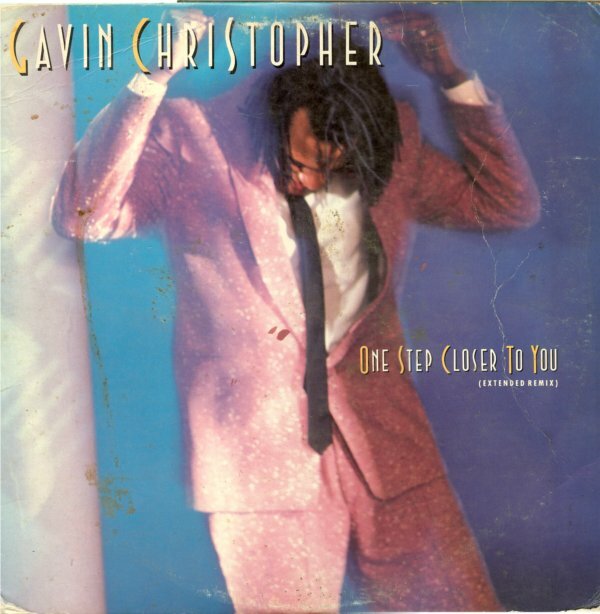 Gavin Christopher (Born May 3, 1956) is an American R&B singer, songwriter, musician, and producer. Born in Chicago, Illinois, he started out playing music at a very early age. Having been schooled by the likes of Oscar Brown Jr., Donny Hathaway and later on Curtis Mayfield, he honed his writing and singing skills and began his career, first in a band called Lyfe (which also included Chaka Khan). Khan then left and joined Rufus (scoring several pop and R&B hits with them). Christopher later joined another band called High Voltage with future Rufus members Bobby Watson and Tony Maiden, as well as Lalomie Washburn, who later wrote several Rufus songs. Christopher himself would also become associated with Rufus, as he penned the song “Once You Get Started,” which was later recorded by the band and hit #10 on the Billboard Hot 100 in 1975. Following a move to New York City, Christopher signed with EMI Manhattan Records and scored his biggest single to date, “One Step Closer to You” (his only Hot 100 hit as an artist, #22 in 1986) and another major R&B hit two years later with “You Are Who You Love.” He also produced music for artists such as Grandmaster Flash, Afrika Bambaataa and The Ritchie Family, as well as mentored and worked with a young Mariah Carey prior to her getting her big break. He was heavily involved in the early hip-hop scene, writing such hits as “Girls Love the Way He Spins”, “Sign Of the Time”, “We Gonna Rock America” and “All Night All Right”. “One Step Closer to You” was remixed by Steve Thompson & Michael Barbiero.